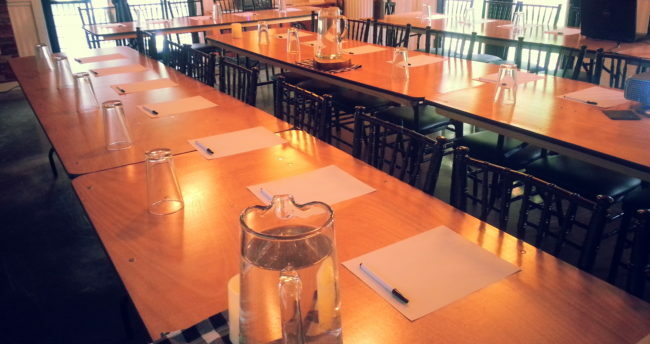 Book a venue for your next business meeting! Give your team, your staff, and your clients a break from the office. 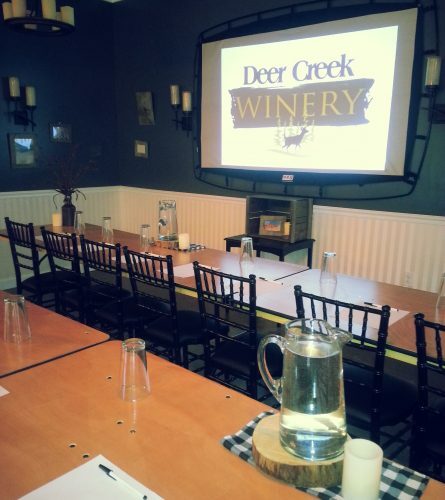 Schedule your next business event at Deer Creek! Pricing includes room fee, coffee/water/tea, breakfast, morning and afternoon snack, lunch, screen/projector/podium usage. No hidden fees – what you see is what you get! 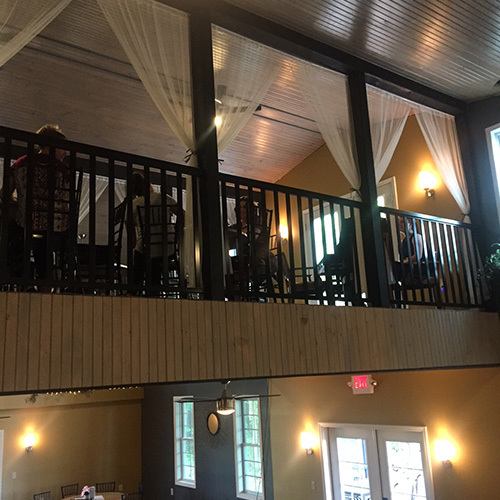 Located in the Main Winery, Vino’s Den offers many elegant amenities to host a small birthday party, bridal shower, baby shower or business meeting. The room has a gas fire place, french doors, ceiling fans, restrooms, stereo system and is private to accommodate a party of 50 people. 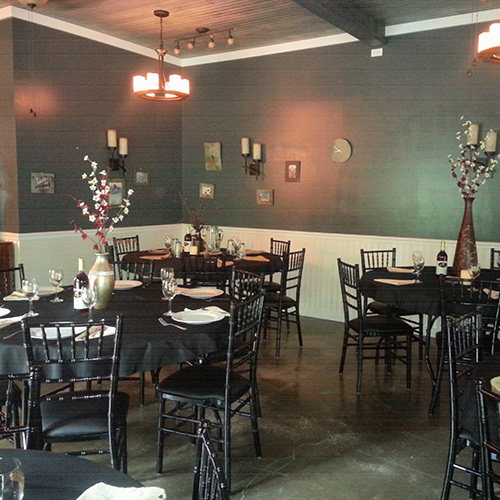 To expand your party up to 60, we also can offer the attached covered patio. For all your business meeting needs. We can provide full catering. The room provides a rustic, elegance theme that is relaxing and inviting for your guests. It has cathedral ceilings, a mezzanine balcony that overlooks both sides of the room, french doors, a porch and outside balcony. Connected and set separate from the Gathering Place is an area where a buffet style meal can be served. 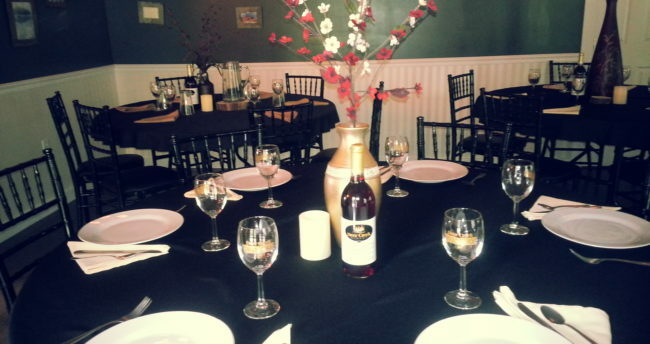 To expand your party up to 264, we can also offer Vino’s Den and the covered porch. This area can be rented for a two-hour private gathering for a bachelorette party, a girls or couples night out or for a family gathering. To expand your party up to 70, we can also offer the covered porch. Tables and chairs are included with this rental. We can provide full catering. 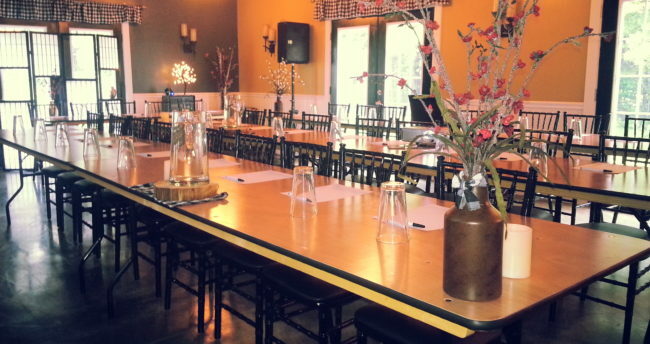 Need a space for a large private celebration? You can rent the entire inn for two nights and have the place all to yourself. We can provide full catering. No matter what the reason for your business meeting, our cheerful well-trained staff can make your corporate event run smoothly. We look forward to helping you create your vision. 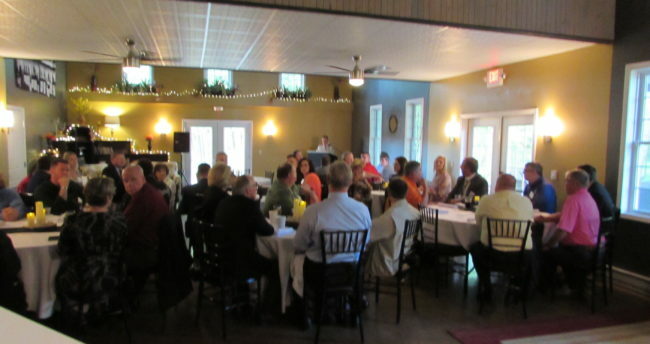 Please take a moment to speak with us about your upcoming event by giving us contact information and we can help you plan and create your business meeting. 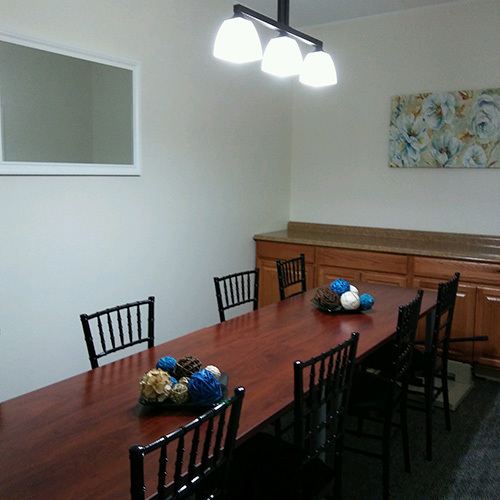 We have a conference room with a long table with plenty of seating, and our gathering room can be reorganized to feature front facing tables with a projector and podium. 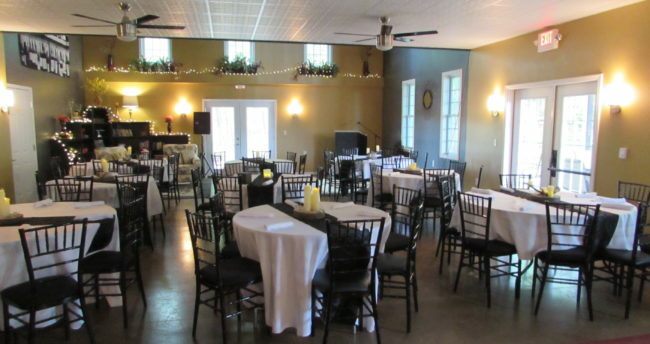 Venue rentals can include any combination of rooms. Discount bundles available for venue rentals plus Inn room bookings. 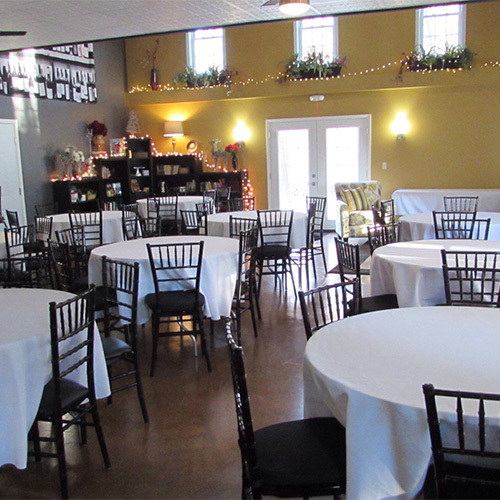 All venue rentals have the option of full catering for an additional cost. Our catering staff can provide coffee and refreshments to keep your team focused! Venue room setup is flexible – please notify us of any special requests or accommodations. 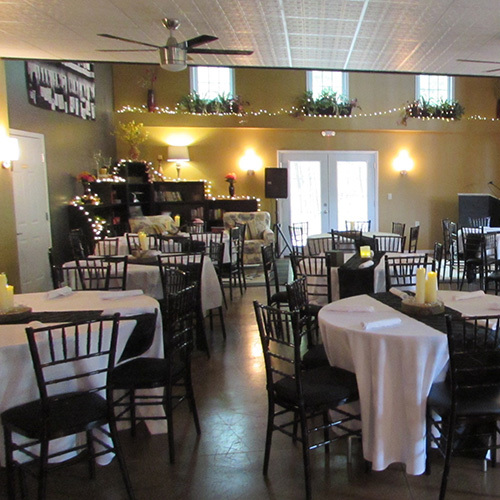 Click here to see all of our venue rental options. 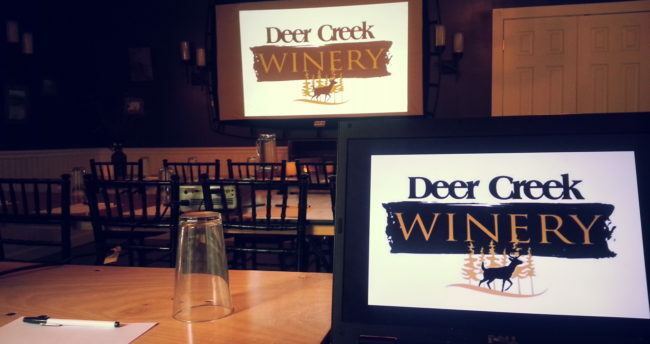 You may also call or email for more information or pricing, 814-354-7392 or rentals@deercreekwine.com. Appointments can easily be scheduled to come look at the facility.